The importance of the concept of “lead generation process” is frequently misunderstood and underestimated. Many B2B sales organizations act like lead generation is something that just “happens,” and if they go out and make cold calls or spend a lot of money on advertising, new leads will come rushing in. Other B2B sales teams tend to think of lead generation as something that there’s never enough of – they constantly are demanding more leads. The truth is more complicated. The lead generation process requires a careful approach and a strategic plan. If you handle it correctly, your lead generation process will yield bigger results than ever before. It sounds like an obvious point, but it’s true: you need to do your research upfront before you ever pick up the phone to call or send an email to a new potential sales prospect. The first step of the lead generation process is not about lead generation at all, it’s about doing your research and strategically targeting which companies are the best fit for what you sell. You should spend a lot more time on research than you do on making cold calls. Just like the old saying, “measure twice, cut once,” you should spend at least twice as much time doing your homework and researching companies as you spend on the phone. In addition to doing research on which companies are the best fit, you also need to spend time on identifying departments, teams, and internal stakeholders within the prospect organization that are going to want to hear from you. For example, if you sell a system or software solution that improves productivity, which internal departments within a company are most likely to be affected by this? Who are the potential allies who will benefit from implementing your solution – who within the company stands to gain from buying what you sell? Sometimes the process of “finding allies” can help you identify secondary stakeholders and decision makers who might not get to have the final word on whether or not to buy from you, but who can assist in the sales process. 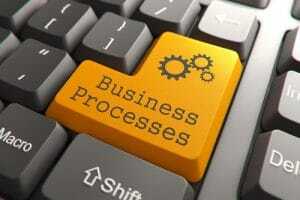 Especially in B2B sales, the sales process can be lengthy and time consuming and complicated. It helps to figure out – early on – which people within the prospect organization are most likely to be on your side and who have a vested interest in seeing you succeed. Lead generation is not just a numbers game. Yes it’s true that “more sales leads” is usually better than “not enough,” but “more leads” is not always the answer. Sometimes your sales team already has “enough” leads, but you’re not getting the right results from the pool of leads that you do have. Many companies make a mistake of not qualifying their new sales leads. They treat every new lead the same – they assume that every new prospect is equally likely and ready to buy. But the truth is, not every lead is equal! Some prospects are urgently ready to move forward and are eager to start the sales process, while others are just beginning the early stages of their research, while others are confused or uncertain or don’t really know what they want. The problem is, if you don’t do any pre-qualifying of your sales leads, you might overwhelm your “good” leads with too much clutter. You might spend too much time chasing after bad sales leads while failing to follow up with the leads that are actually ready to hear from you. You can help avoid this situation by asking a few pre-qualifying questions to each new sales lead – whether it’s an inbound sales inquiry or a cold call or meeting a new prospect at a trade show or networking event. What are some issues that you’re having with your current solution/system? How are your current issues with your solution/system affecting your overall business operations? What is your timeline for moving forward? What other companies/competitors are you looking at? These questions will help you learn more about the overall situation with the prospect’s business, and help you determine just how urgently ready the prospect is to move forward. Ideally, you can use these questions to help prioritize and rank your sales leads for follow-up – both immediate/short-term and long-term. The lead generation process might sound complex and mysterious, but it doesn’t have to be. It’s all about doing your research, identifying the right people to talk to within the prospect organization, and then learning more about the new leads so you can prioritize which leads are “better” than others.